Upon her graduation from the high School of Toho Gakuen School of Music, Imagawa was enrolled to Toho Gakuen School of Music. Imagawa went to Vienna to continue her musical studies at the University of Music and Arts in Vienna, graduating with first prize. Imagawa won the First Prize at the Salerno International Contest and many major prizes in Europe, such as Capri International Contest. Taking advantage of these successes. Imagawa gave many contests in Europe. After returning to Japan, she gave recitals almost every year, Imagawa has been with such distinguished ensembles as Sendai Philharmonic Orchestra, Kanagawa Philharmonic Orchestra, and Gunma Symphony Orchestra etc. Her engagements have included performances with Orchestra Ensemble Kanazawa, Tokyo City Philharmonic Orchestra, and she performed New Year Concert with Tokyo City Philharmonic Orchestra. With Royal Metroporitan Orchestra, imagawa also performed J.S.Bach's Concert for Two Pianos with greatpianist, Jorg Demus. She performed Grieg's Piano Concert with the Tokyo Symphony,and she performed Mendelssohn's Piano Concert No.1. Imagawa has appeared many TV/Radio Programs such as NHK(Japan National Broadcasting Cooperation),"New Untitled Concert" by TV-Asahi, and so on. 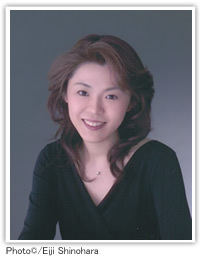 She has given many concerts all over Japan; not only as a soloist but also as a member of the chamber orchestra. She studied with Kazuko Ariga, Krassimira Jordan, Dianko Iliew, Rolland Keller, Heintz Medjimorec, Georg Vasarhelyi, and Sergei Edelmann. In 2008, she was the jury of Albert Roussel International Piano Competition, Bulgalia. Imagawa currently teaches Musashino Academia Musicae and a music school attached to Musashino Academia Musicae.